Since the release of “PYP: From principles into practice”, IB World Schools around the world have been engaging with the content and planning for implementation. Four schools at different stages of their IB journey will share their approach to understanding and implementing the IB Primary Years Programme (PYP) enhancements in their own context. Follow each unfolding story over the coming year. Here is the fourth story in the series that features an IB World School in Namibia and illustrates how the school began exploring the enhanced content. Our school is undergoing the next exciting journey of familiarizing and embracing the new additions to the PYP. It is always good to see reflection and change taking place as we all strive to improve learning and teaching, and the ways our children learn. But for all the schools offering the IB PYP: each of us are different and the same, all at once. How we hang that framework is dependent and in consideration of each school’s context. I am always curious of how schools interpret and implement the PYP. I think the first way to discover and evolve is to share. So this article gives you some insight into Windhoek International School (WIS) and our story. Windhoek International school is based in Namibia. It has proudly been implementing the IB PYP since authorization in 1999. It is the first school in Namibia offering both the Primary Years Programme and the Diploma Programme. WIS attracts students from around the world. Families mostly choose WIS for their children, because they value the international education and the open and welcoming environment WIS offers to people from all backgrounds. Currently about 60% of students are Namibian and the remaining 40% of students are from more than 30 countries around the world. We have over 40 nationalities represented in our school. The student roll is just over 440 students—from early years through to grade 12. Where did our story begin? It was originally founded by Administrative Director, Ms Bodil Knudsen (Reske-Nielsen) and Finn Reske-Nielsen from Denmark. On a warm Wednesday morning on 16 January 1991 the Windhoek International School opened its doors to the first trickle of students. Sometime later during the civil unrest in Angola, we had another Swedish school join us, as they had just been evacuated. At this point, we had three schools on one premises in Windhoek West. In 1993 we built our present school, in Pioneerspark Extension 1, in the form of an African village. WIS, then on its own premises, was officially opened on 11 March 1994 by our founding father and first president of Namibia, Dr Sam Nujoma. Since then we have expanded, added the Portuguese Language Centre in 2001 as well as more classrooms. The IB was launched in 1999 by our second Director, Mr Kevin Bartlett and Dr Ian Hill and our first students completed their IB diploma in 2002. From the first announcement of WIS and the humble beginnings way back in 1990 we have now grown to about 440 students. This is just a part of our WIS story which does not end there. Since the inception of the PYP, our school has gone through a process of change, growth and adaptation. Being a longstanding PYP school, one of our biggest focuses has been on sustaining and maintaining the integrity of the programme in the context of our school. One thing I can say in the time I have been at Windhoek International School is there is a strong sense of community, family and all stakeholders hold the learners as being central to all we do. It is holistic in its approach and concerned with the whole development of the child. I have found the school to be communicative, caring and transparent. This has been built and developed over time in creating this atmosphere. In the context to now embracing the changes with the PYP, our school has begun its journey to incorporate these enhancements. Our primary principal and I participated and completed the “Growing communities of practice” online workshop to further our programme upskilling in October 2018. Prior to this, I ensured that all our PYP teachers are registered to the My IB portal and have held a few in-school sessions where teachers have explored how this portal can support their professional growth and understanding of the enhancements in the PYP. The transition guide was shared with staff back in August 2018. 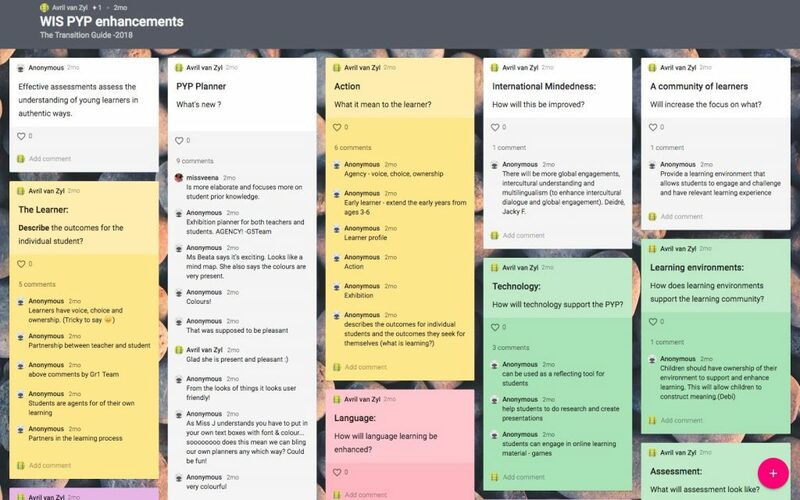 On 3 October 2018 our PYP teachers sat together collaboratively to explore further the enhancements and the elaborated documentation published on the programme resource centre, and we discussed and explored what each means in the context of our school. 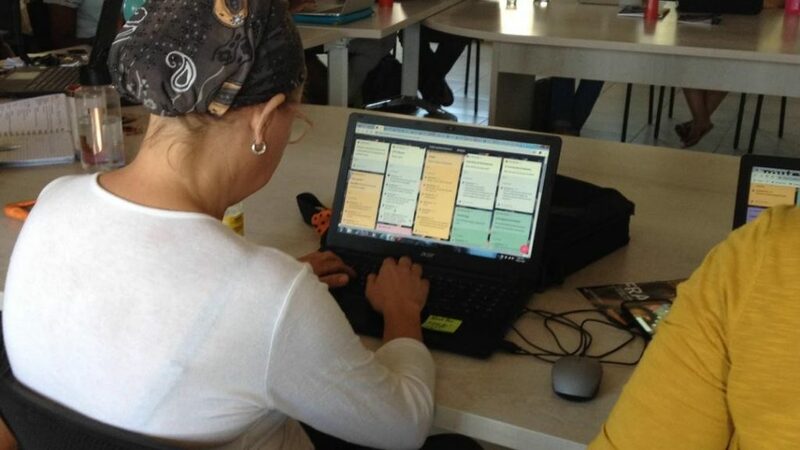 We used Padlet to comment on as we explored the documentation for PYP: From principles into practice. Following are some of the thoughts our teachers are connecting and identifying with in our school context. The learner: to continue to develop and foster student voice, choice and ownership in their learning, building up partnerships between the student and teacher. The learning community: we are in it together—it is like a PYP soup. Agency: in our school some students are on the road to agency already. Learning and teaching: it looks interactive and active in our school, encourages students to be curious, have a voice and a choice. In order to implement a change, there needs to be collaboration and input from the teachers. For this to be possible a lot of time is spent discussing, reflecting on our practices as a school and including all parties that work with our student body in partnership. We have found that empowered teachers is the best way to successfully move forward, change and see implementation within the classrooms. I am keen to developing more connections with other schools in their journey through the PYP enhancements. One important factor is the collaboration and communication when sharing good practice, especially when considering the school context. For us this has been isolating at times being the first IB PYP school in Namibia. So reaching out and making those connections is important but, at the same time, knowing your context and what works for you as a school is important, too. I look forward to sharing more of our journey. All the best to others out there doing the same—exciting times ahead! 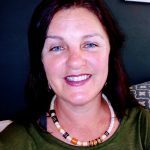 Avril van Zyl has been working at Windhoek International School in Namibia for 12 years as both the PYP coordinator and a PYP teacher, specialized in early years. Avril is also a member of IBEN (team leader/member on school visits—verification and evaluation—and a consultant for schools wishing to become an IB World School). Those visits to other schools in the African region provide an opportunity to see how the framework works in various school contexts. Avril is passionate about the teachers and students, and how they contribute and play a collaborative part in learning and teaching. She is focused on reviewing and exploring play-based learning in the early years and is looking forward to seeing how the enhancements will support this.